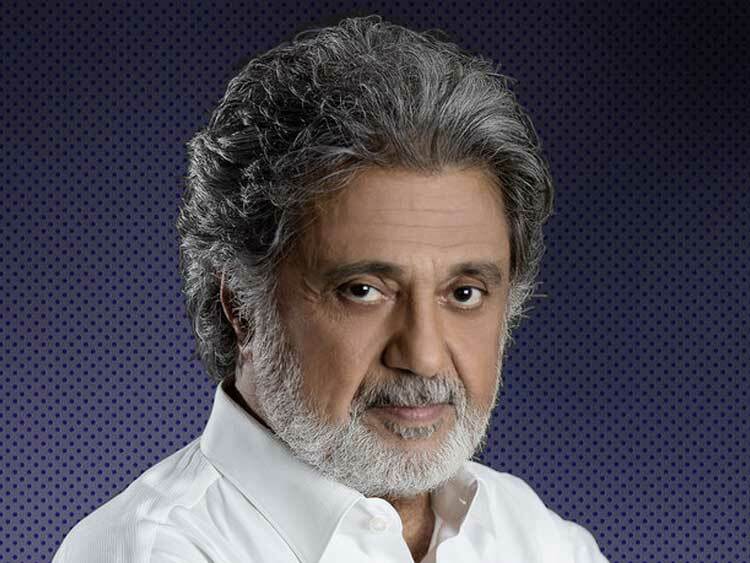 Dariush was born in Teheran on February 4, 1951 and spent his early years in Karaj and Kurdistan. His talent was first recognized at an early age of nine, when he appeared on stage at his school. Hassan Khayatbashi introduced him to the public at the age of twenty through Iranian television. 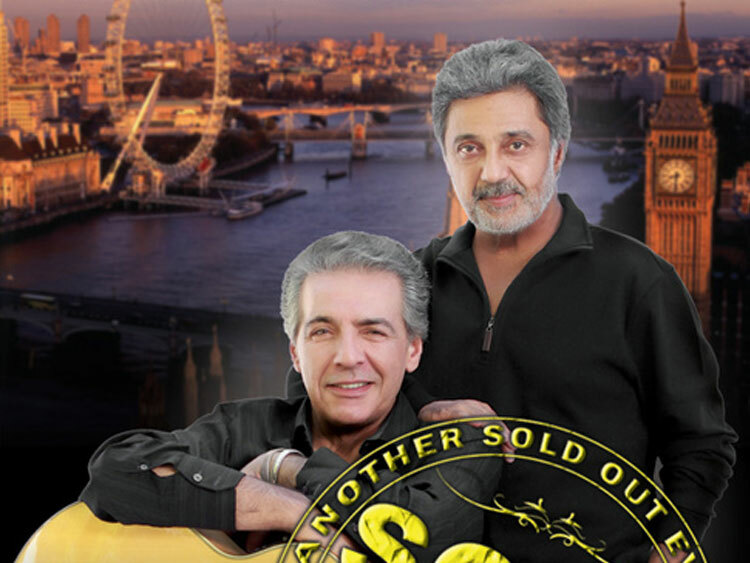 He immediately became popular with his legendary song “Do not tell me you love me”, and his contemporary and unique style opened a new era in the Iranian music. From his humble beginnings, the admiration of his countrymen for his art with a purpose has empowered him to be the voice of his people. As a risk-taker and a public minded artist, His ability to straddle the world of art and social awareness has not been without consequences. 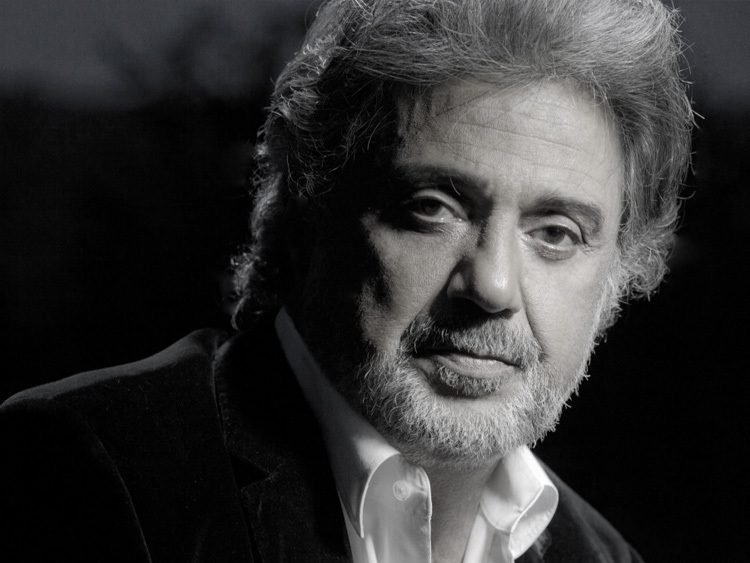 Dariush’s determination to change the world for a better place and his unwillingness to compromise his deeply held beliefs resulted in his imprisonment and persecution before the revolution in Iran and has eternally fueled his passion to continue his journey to this day. Whether he sings poems of Shamloo, Rumi, Hafez and Naderpour, or lyrics of Janati attaie, Ghanbari, Sarfaraz, Negahban and Bayat, the themes that runs through all his endeavors are that of love, peace, freedom and justice. He has collaborated with such renowned artists as Ahmad Pejman, Mohammad Shams, Farid Zoland, Varoujan and many other innovative and avant guarde lyricists, musicians, and composers. His body of work consists of over 200 songs in 26 albums. 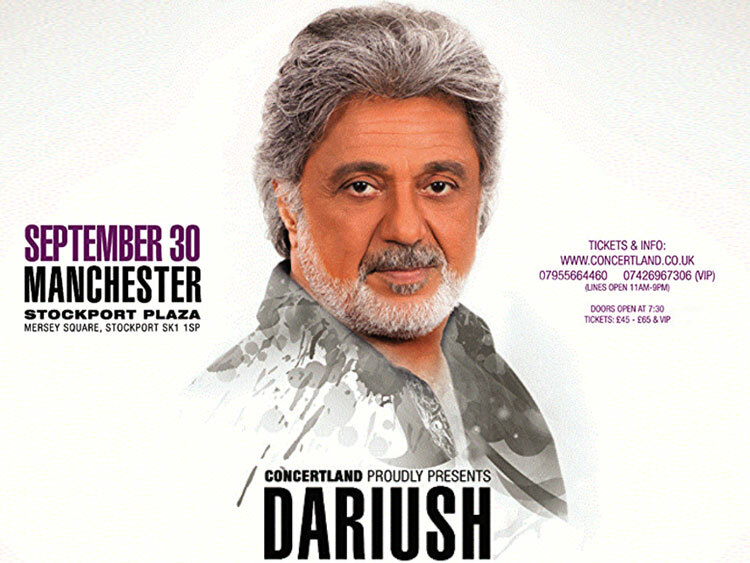 Dariush’s commitment to echoing the plight of his people and his country has resulted in the creation of a bewildering repertoire. 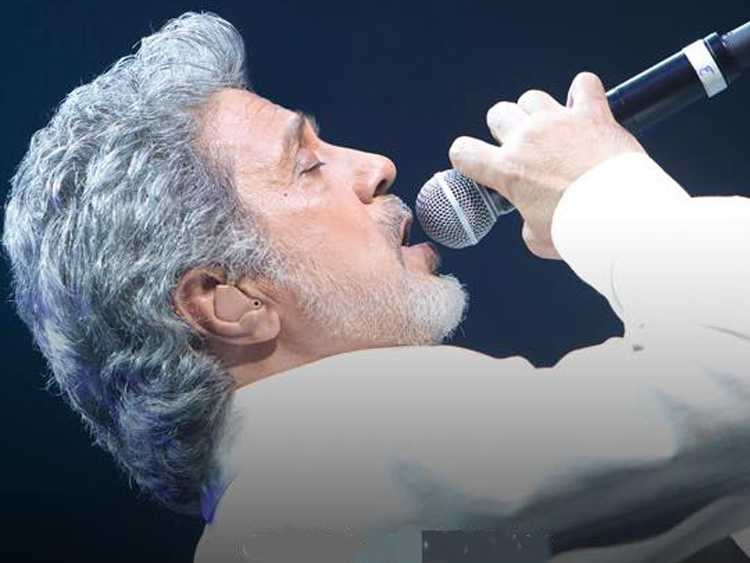 Lauded by fans and critics as an iconic performer, Dariush has also been praised as a compassionate and committed activist due to his dynamic approach towards the ever growing social maladies afflicting his homeland. He travels extensively to pursue his humanitarian endeavors, which, among others, include calling for a more complementary coalition and a more comprehensive approach on the part of nonprofit organizations and their benevolent objectives all around the world. He has also dazzled audiences with great virtuosity with his vibrant performances. He has had sold out performances in concert halls around the world notably: Wembley (London), Carnegie Hall (New York,) Kennedy center (Washington DC,) Koncertoes (Stockholm), Greek theater (Los Angeles), Universal Amphitheater (Los Angeles), and Palais de Congres (Paris). 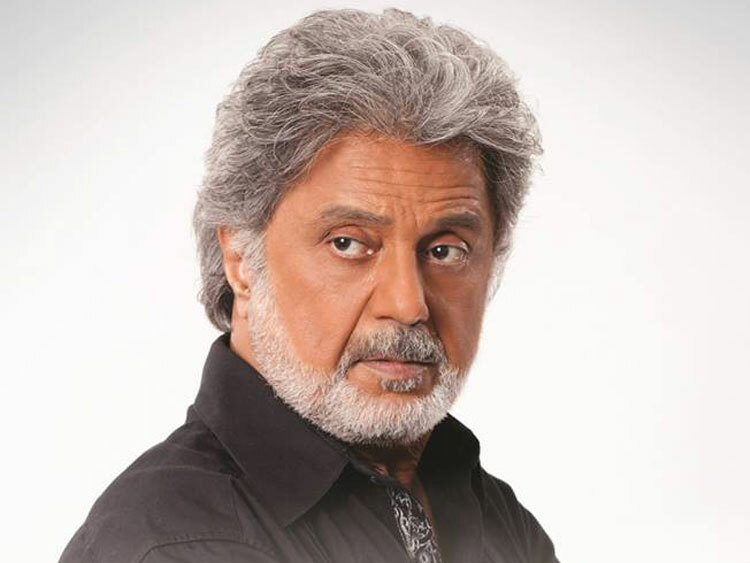 Dariush has earned the respect and love of his admirers not only because of his talent in the world of music as a performer, but also as a composer and actor. His performances in the Iranian Cinema, more specifically in two films: “Yaran” and “Faryad zir ab” have earned great reviews. Recently, his ambitious crusade for freedom and recovery, and his dedication to bringing awareness and support to the world of addiction have insured his place among the mere handful of humanitarian Iranian artists who have made an impact in the lives of people with compassion and passion. Through the establishment of the Iran Recovery Center, and Ayeneh Foundation, by creating such educational websites as Behboudi.com, the first Farsi website addressing substance abuse, Behboudichat.com, a chat room created for those who are seeking recovery and their family and loved ones to learn how to constructively complement their journey to recovery, Ayeneh.org, the first and only website raising awareness about all social maladies widespread among his countrymen, and his own Web log, dariusheghbali.com; through informative seminars, speeches and conferences worldwide, and as a member of Amnesty International, Dariush has raised his voice to make a difference. His weekly educational television programs have been a source of edification, awareness and prevention with regards to such crises as substance abuse, HIV and AIDS, human rights violations and the plight of children among others. His goal is to create a nurturing environment conducive to allowing people to develop healthy, drug free lives, encouraging them and their family and loved ones to acquire and seek the skills to achieve sobriety; to bring social awareness regarding human rights violations and the plight of his countrymen, and to create a bridge between those in need and those who can lend a helping hand. In a complementary gesture to his concerts and performances, he has been organizing free educational seminars worldwide as an ambassador of peace, love, recovery and unity. As such, his contributions have been recognized by the Self-Help and Recovery Exchange, which selected him to receive the Ron Simmons & Rev, Ronald L. Wright Award, for his outstanding contribution to support group participation by minority communities, as well as the Yaran Group in New York and the Iranian Student Group at UCLA for his humanitarian work worldwide. 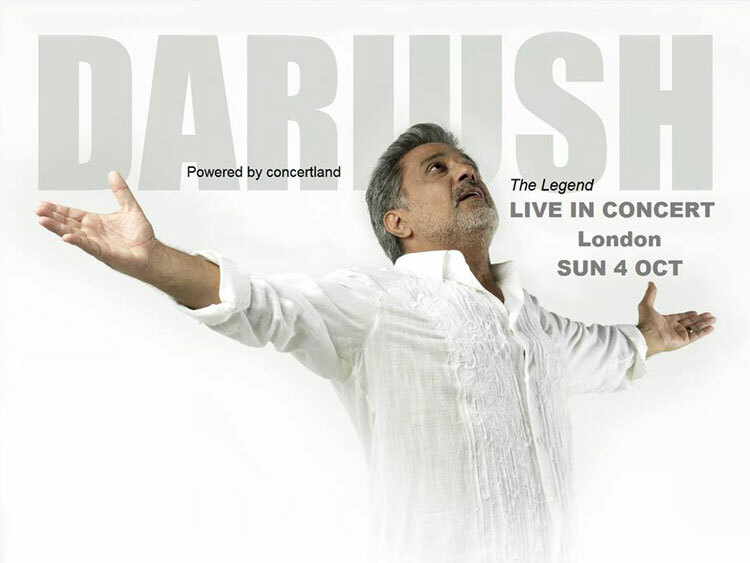 Dariush and his music have swept the worldwide musical scene with an unforgettable and powerful mission. He has endeavored to create music of lasting worth and substance and through the years he has remained a true believer in the power of love and knowledge triumphing over tyranny and oppression. His inherent musicality and timbre, coupled with a passionate belief in the importance of civil liberties, and political and human rights have made him an international symbol of a free Iran. He has been a messenger of love and compassion to the refugees all around the world struggling to find a tiny nest away from suppression. As such, he has been embraced by the Arab world, with its rich musical culture, with great enthusiasm. 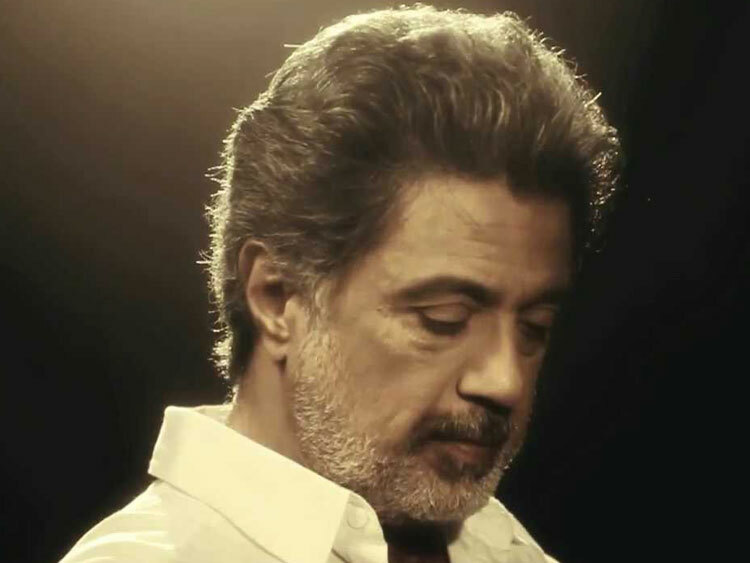 In a recent international festival of music video and tele-media held in Bahrain, Dariush was recognized as the sole representative of contemporary Iranian music. He was awarded the highest peace trophy. 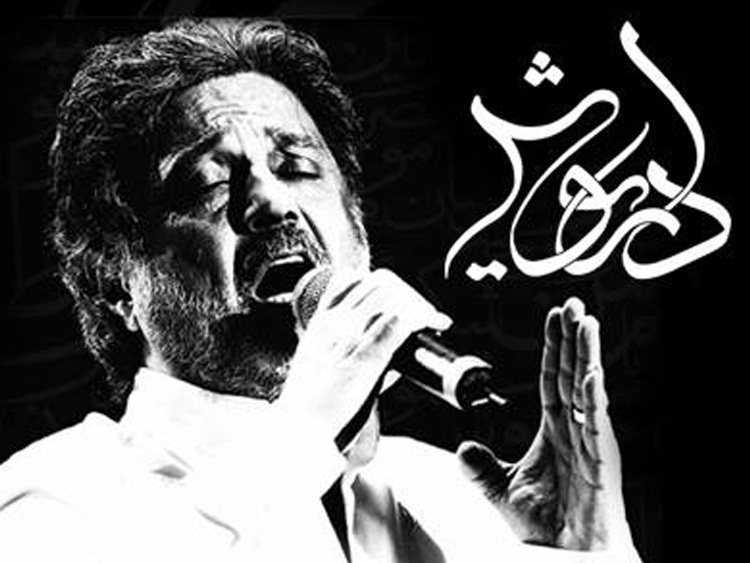 In the closing ceremonies of the festival, Dariush sang of freedom, particularly in his homeland, Iran, and passionately expressed his firm commitment towards being the voice of awareness, bringing attention to the plight of his countrymen struggling for freedom. 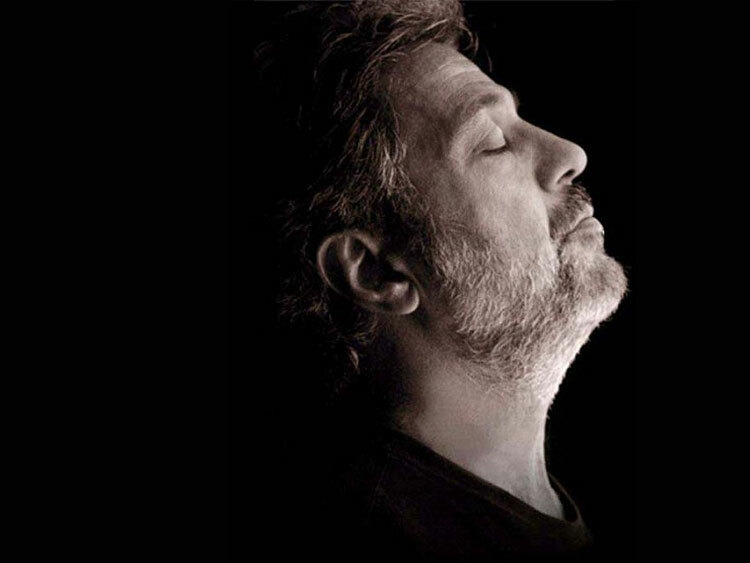 Holding fast to his principles, Dariush’s fervor and unique taste in music, poetry and lyrics, and his impassioned ability to touch the souls of his countrymen have been the main source of his enduring style and presence. His visceral intensity and his fierce loyalty to the need of the society has undoubtedly proven to be inspiring to not only the younger generation but many generations past. 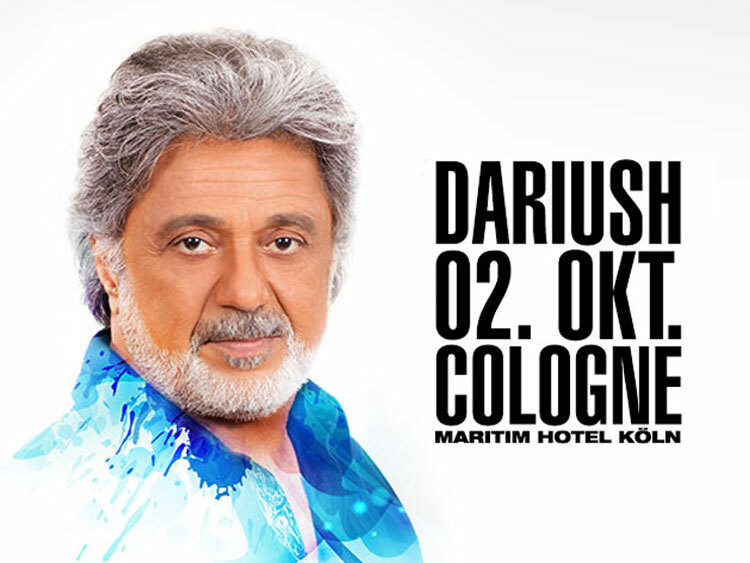 Dariush transcends the world of popular and traditional Iranian music that he has commanded for over four decades, and has awarded the most glorious spot in the heart and soul of his countrymen all over the world.